In this blog post, I will be sharing my rankings on the top ten jerseys of the NHL Winter Classic. To start things off I will be using the same jersey I used a while back when I ranked my favorite NHL jerseys. My number one Winter Classic jersey is the Pittsburgh Penguins powder blue beauties from 2008. These are just clean, beautiful and something you rarely see with the color choice. I cannot fathom how great this 2019 Bruins jersey is. It’s a bold throwback but was the best choice. It is a clean design, a simple logo, and a bold pattern around the jersey, it’s the best Bruins outdoor jersey yet in my opinion. 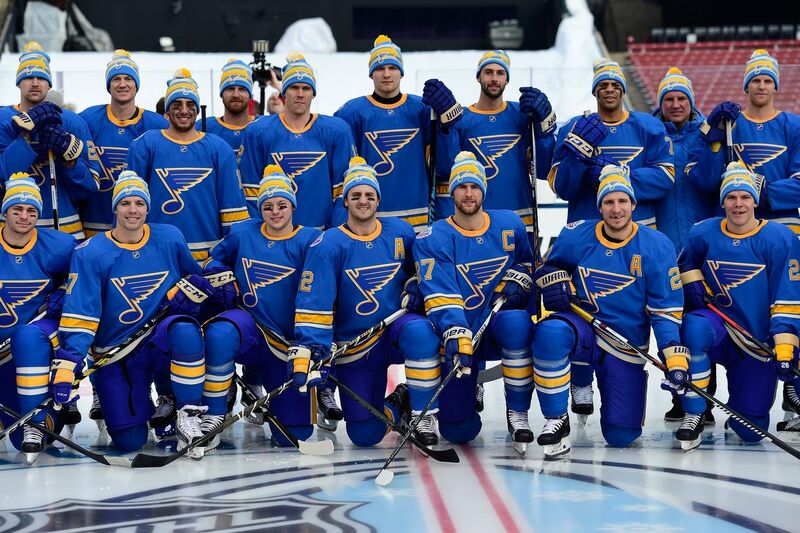 These Blues jerseys were extremely nice. It is such a unique blue color with a slick design. The collar was also a very nice touch that gives the feel of a classic jersey. I still need to get my own, as it is extremely high on the list of jerseys I need. Shout-out to the Blues for bringing them back as thirds in the 2018-2019 season, now I’ll have to use CoolHockey to buy one. The Bruins are back in the top five, and they will have their last one in the top ten. These all black jerseys with yellow accents from 2016 were fantastic. I think we should definitely see these return in the near future. Combine these with the new Winter Classic jerseys and you have a great alternate combination. 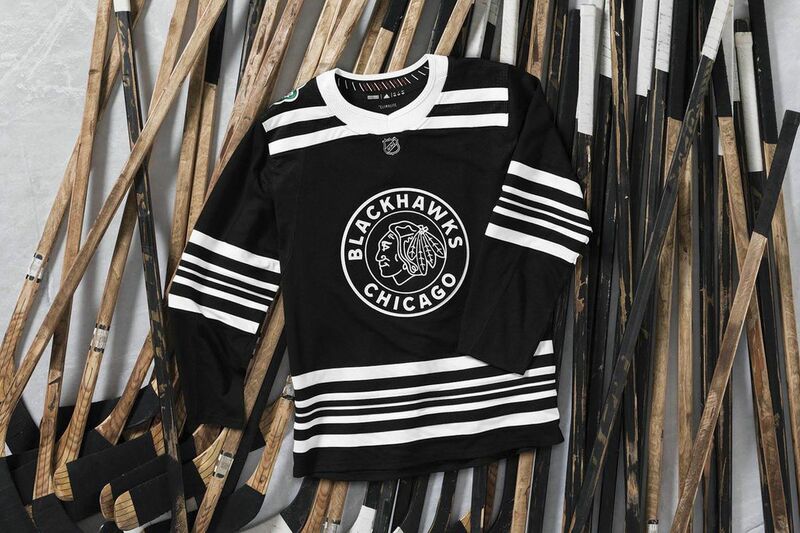 Maybe the cleanest design to ever hit the ice in a Winter Classic. Black and white without anything else should be used on jerseys more often. It looks good and, when done right like these beauties, makes for a best-selling jersey. 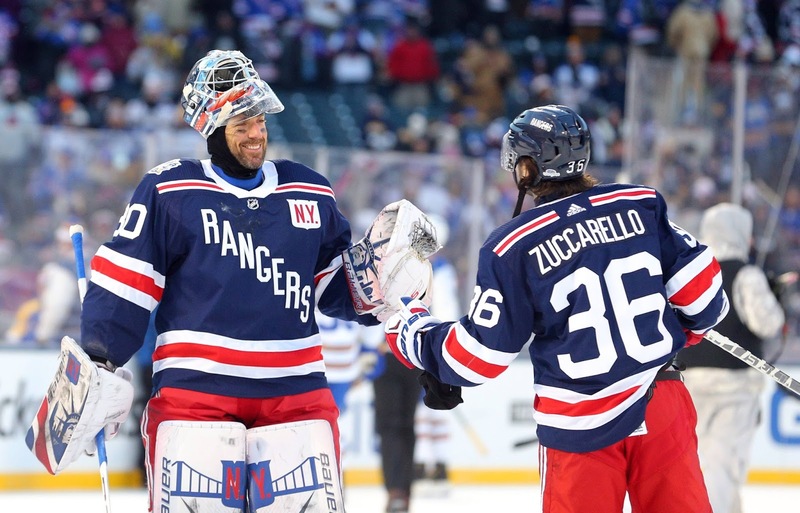 I am excited to see these face off against the Bruins new jerseys in the 2019 Winter Classic for what should be a great game both for the game itself as well as the aesthetic of the uniforms. The royal blue returned in 2018! 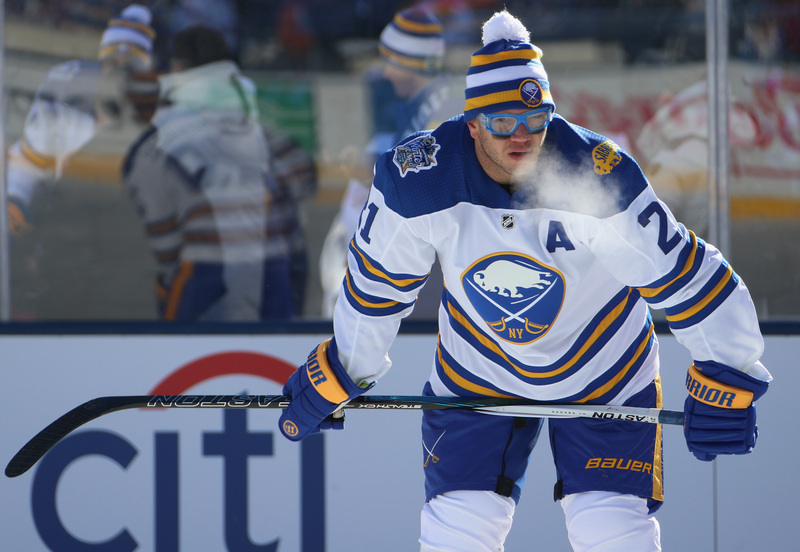 The Sabres finally brought back royal blue for these incredible Winter Classic jerseys that popped with bright colors and double striped waists. I would not be surprised to see the royal blue to return as the base color after these were so popular. These dark blue Rangers jersey from 2018 were beautiful. I could make a strong case as to why these should be the permanent home jerseys from here on out. The dark blue meshes very well with the red and white, and the N.Y. patch is also a great touch to bring out their roots. These Capitals jerseys from 2015 felt very retro, and I’m a sucker for retro. The shoulder striping, the dark red, the logo, it all fits so well together for a beautiful jersey. The darker blue was also a nice touch. The Red Wings brought out a fantastic red jersey with cream accents back in 2014 for a red versus blue game against the Maple Leafs. The simple accents and eye-catching red was a terrific combination. The addition of the captaincy patches being on the elbow area so the jersey would have nothing taken away from it was a great detail. It’s my favorite jersey the Red Wings have worn and I think it should be brought back. What are your favourite Winter Classic jerseys? Let us know in the comments or by replying to our posts on Twitter, Instagram or Facebook!